One of the most requested topics I get from our regular readers is to share more information regarding what we have learned from the thousands of publishers we work with. While digital publishing strategies vary from site to site, there are a couple of trends we can draw a circle around that worked particularly well in 2017. I’ll keep some of this information fairly general; while still providing material that is both helpful and actionable. The main reason for this is that all websites are so different that one of the primary things we’ve learned over time is that what works for one website does not mean it will work for another — even if they are similar. …However, below are some digital publishing strategies that some of our fastest growing and most financially successful publishers leveraged this year to continue their success. Just for context, we see the DNS-level data for thousands and thousands of publishers. This is one of the mechanisms that allowed us to builds the first ever open Ad Revenue Index — a place publishers can go and see actual trends in online ad earnings. This perspective has allowed us unprecedented insights into this industry; which is changing fast. It seems like just about every year we learn more and more about the online ecosystem and how one thing affects everything else. If there is one singular thing that I have personally learned during the past year it’s this… all website elements affect each other and have direct relationships with both revenue and user behavior. It’s actually pretty fascinating. I’ve written a few blogs about this data this year; however, every time I dig into this I’m blown away by just how many elements there are to keep track of and account for if you’re a digital publisher. Visitor behavior directly affects both of these. In fact, it is the most important factor in both. Yet, when publishers look at their digital publishing strategy, we are finding that many are not really accounting for this properly. The primary issue is that many publishers are still looking at their properties subjectively; as opposed to objectively. This could be because they do not fully understand the value of looking at visitor behavior objectively, aren’t sure how to measure this behavior, or simply struggle with the way things look vs. what the data is telling them. That being said, here is what we’ve been able to learn from our publishers that have done the best job of taking all of these things into account in 2017. 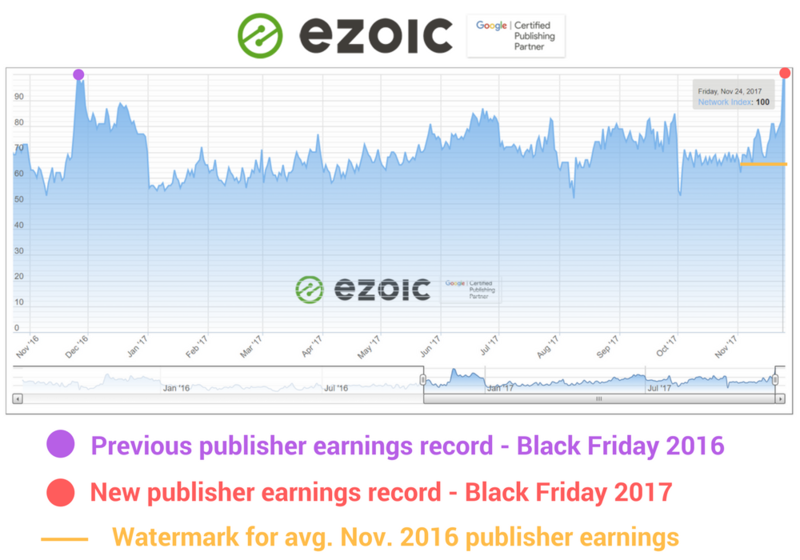 As most publishers know, Q4 of the calendar year is when most publishers see their highest earnings. The Ad Revenue Index clearly reflects this. We’ve talked about why this happens before. Our most sophisticated publishers traditionally do most of their major website changes and strategy shifts in January and other slow parts of the year. By making website changes when revenue rates are lower, they mitigate the risks of issues that might arise from challenges with any particular shifts in strategy or infrastructure. Thinking of changing hosts, switching to HTTPS, or altering your layouts? Doesn’t it make more sense to do these things in January when rates are at their lowest than in November when they hit their peak? A lot of smart publishers shared with us that they spend the slower parts of the year (Jan, Feb, May) working on their biggest changes. They prefer to have things as dialed in as possible by the time things start picking back up in March, and obviously in Q4. Understanding visitor behavior almost always starts with learning about where a visitor begins their journey. Above, we noted the importance of understanding session revenue (meaning the amount of revenue generated per session — EPMV). 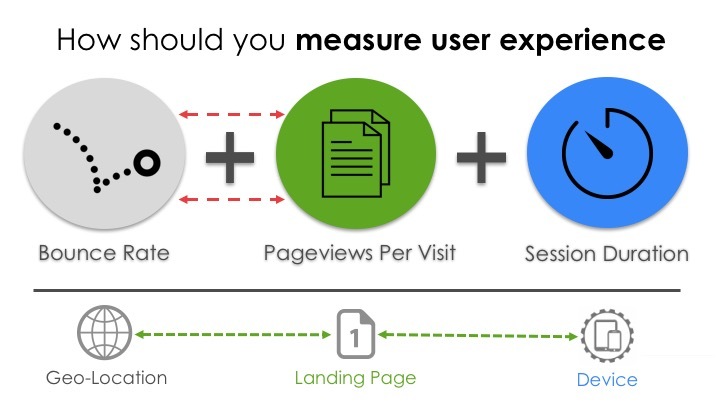 The best way to understand session revenue is by looking at visitor landing pages. This will show you where visitors are landing on your site and where they go from there. 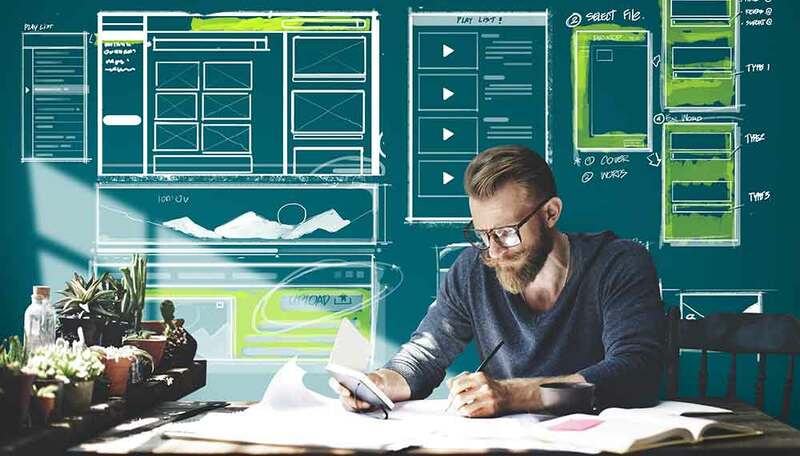 Many publishers like to think all visitors land on the home page and navigate throughout the site from there, but what we keep learning is that this isn’t usually the case. Understanding EPMV per landing page provides some perspective on what pages are actually earning you the highest revenue. While a single page might earn a higher eCPM or RPM (total page revenue), it might not actually be earning you the highest session revenue. If a visitor lands on a lower earning page, but then goes on to visit 4 other pages, the total earnings from all the subsequent pageviews may ultimately earn far more revenue than that single high earning page. Good publishers use this knowledge to their advantage. They write more content like their top landing page content. They alter it and improve it over time and mimic strategies that work well. They optimize around their highest earning landing pages, not pages. Additionally, these publishers recognize the role that engagement plays in the process of elongating sessions to earn a higher EPMV. They’ve seen our research on how engagement effects inventory value and try to ensure that the pageviews they lead visitors to create valuable ad impressions for advertisers. This essentially means eliminating andy FAKE UX that may be hindering visitor experiences. What does this look like? It could be confusing navigation or misleading links. How do you measure it? Monitoring navigation bounces have been proven to be effective. How many times do we have to be reminded that visitors are becoming increasingly more mobile? Most sites see the majority of their traffic from mobile devices now. However, most publishers work on their web properties from a desktop or laptop computer. This means they often aren’t looking at their site like a visitor does. Some of our most successful publishers this year really focused on their mobile publishing strategy. This meant that they spent a lot of time looking at the mobile version of their site and the data around how they acquired mobile visitors (see landing pages above). These publishers also explored or kept a close eye on technologies like AMP and PWAs (a little more about those in this article). While results are mixed with technologies like AMP, we saw a correlation between publishers that explored new mobile technologies and their overall growth in traffic in 2017. It’s probably fair to say that publishers that spent a lot of time on their mobile experience saw good returns for these efforts. I actually hate to put this one in here. As most of our regular readers know, I try not to put many self-serving pieces of data in these blogs; however, I really can’t leave out the number one thing that our fastest growing publishers leveraged this year. I won’t reiterate some of this information — which I shared a few weeks ago — about the benefit of applying machine learning to layout testing. However, this continues to be a major component of success among our top publishers. There are not many things that affect visitor behavior more than layouts; specifically on mobile. Data tells us that, being able to pair the right layout with the right type of user offers about as big of an impact as you can generate for both UX metrics and digital revenue. This is something we are continuing to invest in. In 2018, we will be providing even more ways for our existing publishers to flexibly apply this technology to their websites. If you’re interested in being a part of the beta for some of these contact your Ezoic account manager today. If there is one trend we see across all the successful digital publishing strategies it is this, focus on your visitors. Understanding their behavior and influencing their session in a positive way will benefit both your traffic, revenue, and reputation. The best way to do this is by using objective data. Our top publishers have looked at this equation in every way possible and keep coming back to the same conclusions. Data must drive important decisions. The ones that stuck to this statement in 2017 saw record growth. Onward and upward to 2018.